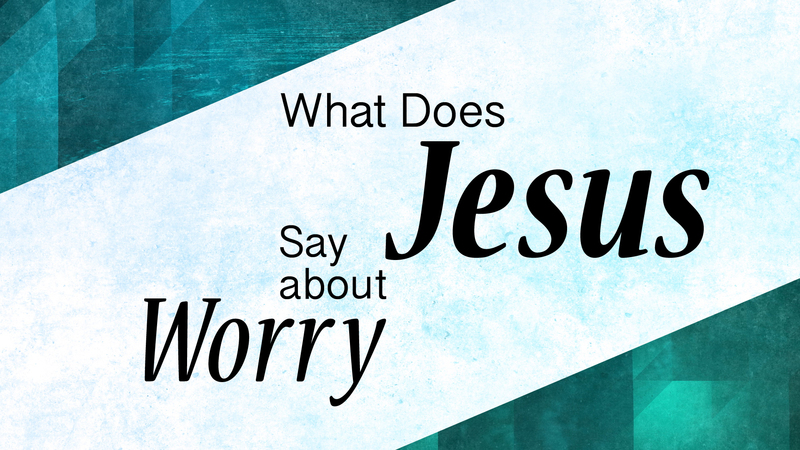 What Does Jesus Say About Worry? This past weekend we had Student Ministry Sunday at our church. This is a special Sunday we do every year where our student ministry staff, leaders, and most importantly students take over the Sunday worship services and leads the rest of our church in worship. Our high school ministry band leads worship, students run all the media/tech, students greet people at the doors, students take up the offering, we have a student host, and more. You can click here to see some pictures from the morning. Each year for Student Ministry Sunday I get the privilege to preach. This year Student Ministry Sunday landed on a Sunday between sermon series so I had the chance to pick what topic or passage I wanted to preach on. After praying for God’s direction and talking with our pastor I decided that to preach on the topic of worry from Matthew 6. The video of the sermon is below. I hope it encourages you and helps you in times of worry.